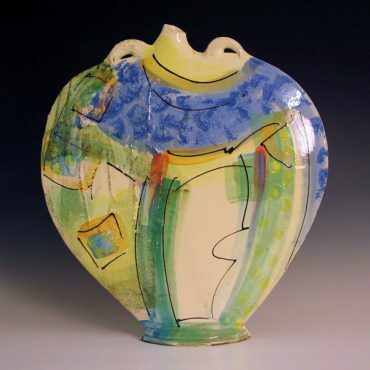 Richards pots reflect the spontaneity of the slipware tradition of decorating with coloured clays on semi-dry pots. He has found an inspiration from the Impressionists such as Matisse and Cezanne, also colourists like Hodgkin. 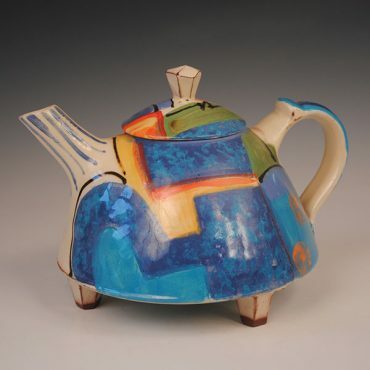 But his background influence is the pattern and design found in folk art from Eastern Europe. Richard uses Terracotta clay and fires his pots in a gas kiln to 1120c.